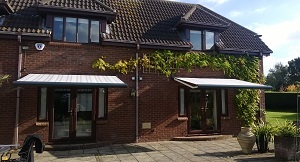 Awnings are a great way to provide much-needed shade over patio’s and terraces during the height of summer yet can be easily retracted when not needed. These are perfectly suited to commercial situations including shops, bars and cafes. These long-lasting installations feature powder-coated folding arms and a choice of acrylic or PVC shades in a range of colours and designs. Operation of your awning is manually via a handle or electric remote control operation. With electric operation, at the touch of a button, your awning will quietly extend or retract at your command. Additionally with electrically operated awnings you can have sun and wind sensors to automatically extend and retract the awning as prevailing conditions dictate – you don’t even have to press a button. Marla Custom Blinds offer a comprehensive range of awnings including non cassette, semi cassette, full cassette, drop arm and free standing – to suit all situations and virtually all budgets. 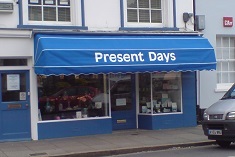 Most of the awnings are available in white or brown powder coating as standard but if you have a particular colour in mind then they can also be powder coated to any RAL colour. 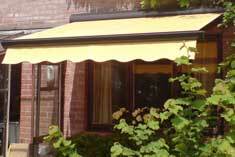 The Marla Custom Blinds awnings use fabric ranges from Dickson and Sunbrella. These 2 ranges contain over 400 designs including solid colours, stripes and jacquards, many of which have special treatments to prevent fading, staining, dirt build up and to make them water resistant. We also are able to install using specialist brackets such as gutter brackets, spreader plates, etc. for when the installation is not straightforward and there may be obstructions to overcome or fixing direct to the building may not be possible due to gutters, downpipes, etc. Dutch Canopies provide an attractive cost effective alternative to traditional wind-out awnings where shading is required inside a building but there may be space or weight restrictions which prevent a folding arm awning from being installed. Dutch Canopies can be rigid or retractable and if retractable, they can be operated by a cord and pulley system or electric remote control. 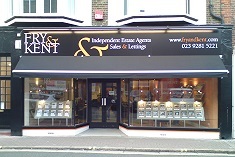 The frames are manufactured from aluminium in either white or anodised silver and the covers are manufactured using the same high quality fabrics that we use for our awnings plus a range of wet look fabrics for fixed canopies. All are finished with a valance (if required), piping and trims to match and contrast the design of cover used, ensuring a neat and attractive overall finish. 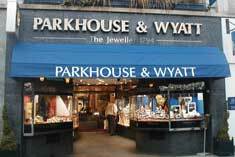 Dutch Canopies are also ideal for sign writing to really make your business stand out.